The holidays are here, and with it an abundance of holiday cheer, family get-togethers and leftovers. Turkey, ham, mashed potatoes, casserole—it’s filling up the efrigerator! 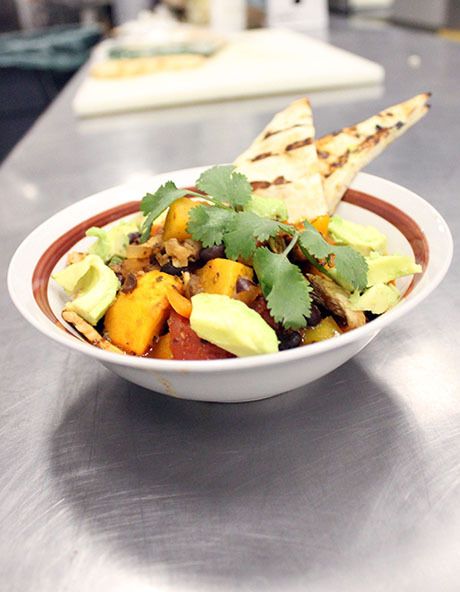 In this month’s Farm to Fork series, we are featuring a healthy and delicious recipe that transforms those holiday leftovers into a hearty chili that is perfect for cold winter nights. 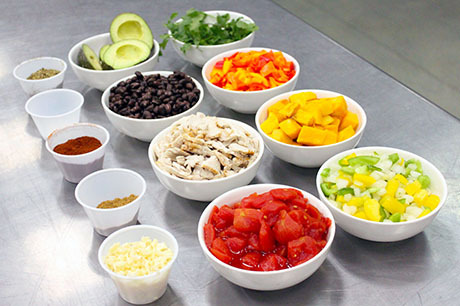 A traditional chili has meat, beans, tomatoes and a variety of vegetables that simmer down into a filling stew. 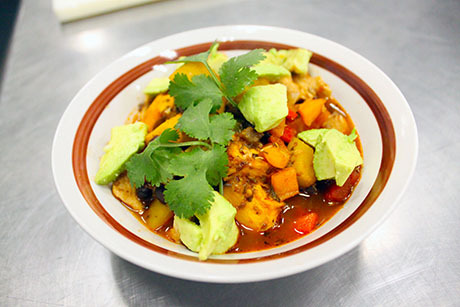 In this recipe, St. Vincent de Paul’s Head Chef Chris Hoffman, took a traditional chili recipe and incorporated leftover turkey from the holidays, black beans from SVdP’s pantry and a fresh seasonal ingredient: pumpkin. Pumpkins have a reputation of just being a Halloween decoration or a pie filling, and are rarely featured in savory dishes. Maria Silva, SVdP’s Family Wellness Program's registered dietitian, shared that pumpkin is a nutrient-dense food that is high in vitamins and minerals and low in calories. Pumpkins are one of the best-known sources of beta-carotene, a powerful antioxidant that offers protection against certain types of cancer, asthma and heart disease! What are your favorite leftover recipes? We’d love for you to share your favorite combination! Tag us on Facebook, Twitter, or Instagram with your posts using #SVdPFarmtoFork. In a large skillet, sauté the onion, yellow pepper in oil until tender. Add garlic; cook 1 minute longer. Transfer to a 5-qt. slow cooker; stir in the remaining ingredients. Cover and cook on low for 4-5 hours or until heated through. En un sartén grande, saltea la cebolla y pimiento Amarillo hasta que estén suaves. Agrega el ajo y cocina por un minute. Transfiere esto a una olla eléctrica y agrega los demás ingredientes. Cubre y cocina a una baja temperatura por 4-5 horas.